I had gotten such a kick out of making the first set of birdhouses that I decided I needed to make a second. I changed things up a little – different color background, identical striped stands for all the houses and a different center. 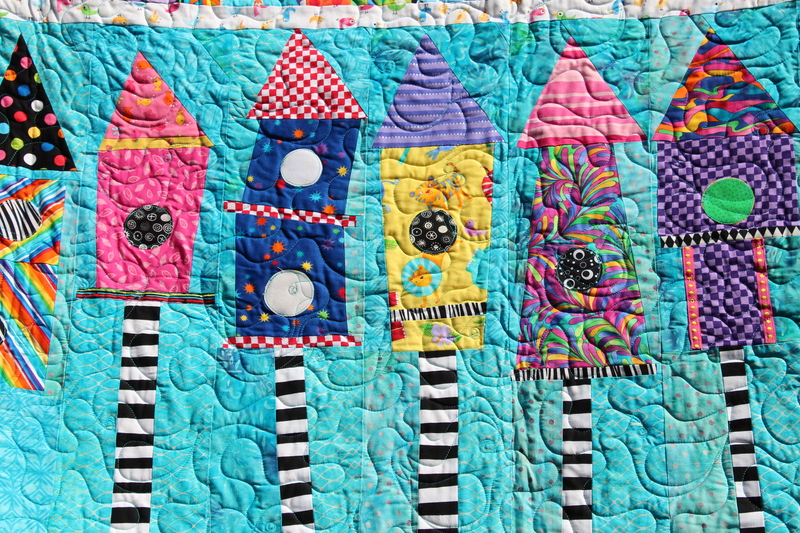 My favorite change though was converting the big pinwheels into mini-pinwheels. I had to do a trial and error to get the dimensions right but it was worth it. I think the minis are super cute. I also added the serpentine thing in the center just for fun because I’ve always wanted to make one of those! 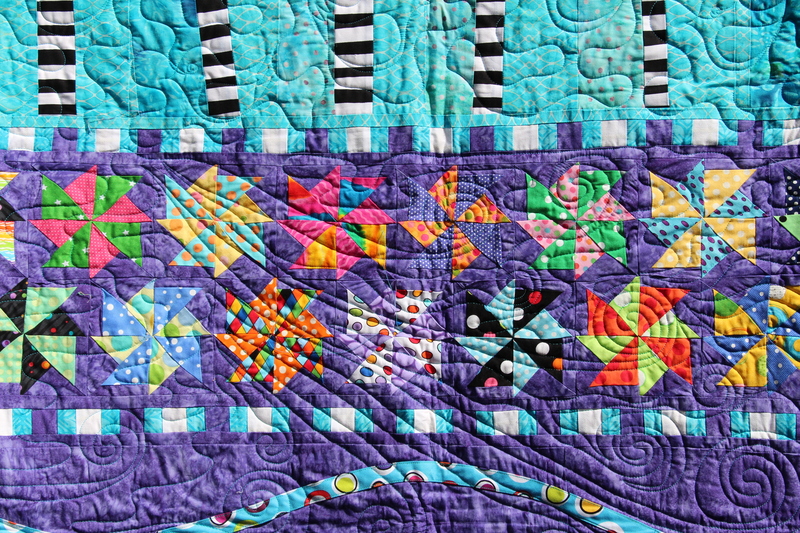 I think all of your quilts belong in an art gallery! I hope you sign and date your quilts. 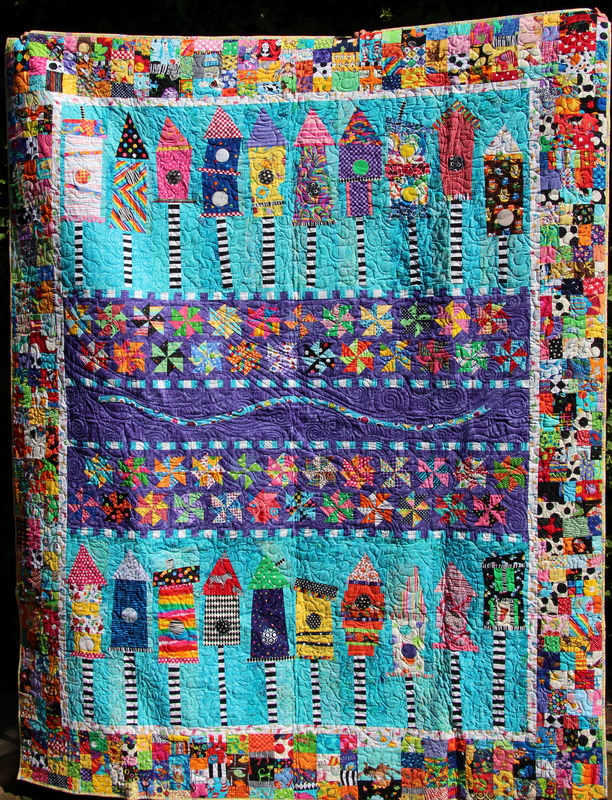 I’m not sure if I’ve said this before, but I think every child should grow up snuggling under one of your colorful and fun quilts. Hi Diana, I have not been signing and dating my quilts. I really should though – its a great idea! 🙂 Hope you are well and happily sewing! I love this so much. It is stunningly beautiful! 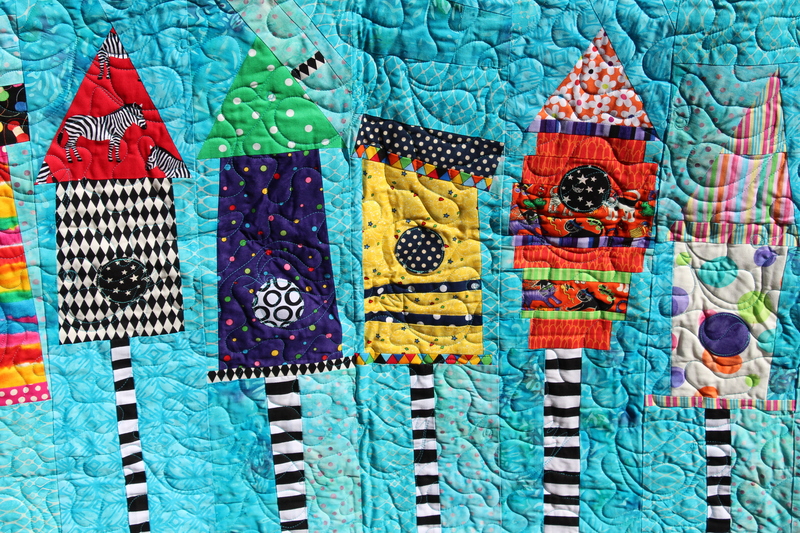 If you keep going, you’ll have enough to be a featured artist in a quilt show! You could have a whole wall to yourself! Fabulous bird houses once again! Love the colors. Very fun!!! Thanks Denise!! That background blue is one of my favorite colors! Love this one!! Great houses and wonderful colour!! 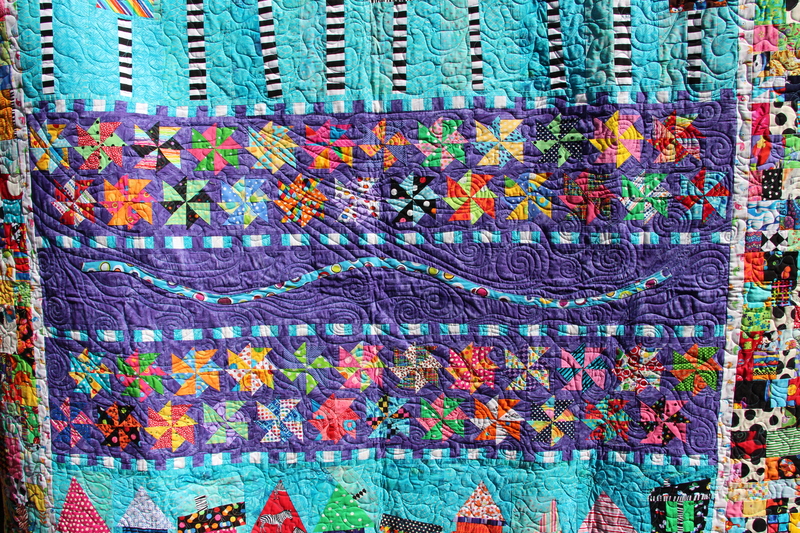 Love the great quilting, too!